On Monday night in Oklahoma City, Florida State senior softball player Jessie Warren found herself on ESPN’s top-10 plays after making an incredible diving catch off a bunt and executing a double-play in the final inning of the Seminoles’ 1-0 victory over Washington in Game 1 of the Women’s College World Series Final. Immediately after the game, the play went viral on social media with more than 2 million views of the catch on SportsCenter’s Twitter feed and people like Kobe Bryant sharing it. 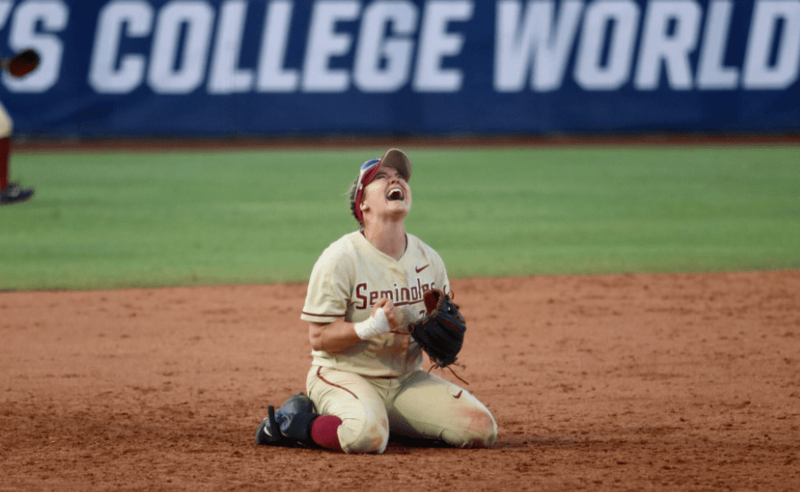 On Tuesday night, in what would be her final collegiate game, Warren shined again, this time hitting a home run and going 3-for-4 in helping Florida State to an 8-3 victory and the school’s first Women’s College World Series title. It wasn’t easy for Warren and the Seminoles. After losing on Thursday to UCLA 7-4 in the first game of the series, Florida State won four straight elimination games and became just the third team in NCAA history to lose their first game of the WCWS and come back through the loser’s bracket to win the title, joining Texas A&M (1983) and UCLA (2003). Warren dominated the Women’s College World Series, winning the tournament’s Most Outstanding Player, hitting .520 with two home runs. Her 13 hits in the tournament tied for the most ever. NO DOUBT ABOUT IT! ? On her Twitter bio, Warren states that she is a “follower of Jesus Christ.” In a tweet on May 17, Warren posted a video of members of four colleges from Florida State, Kansas State, Auburn and Jacksonville State, all about to do battle the next day on the field, coming together to praise God in worship. Congratulations to Warren and everyone at Florida State on winning their first softball national championship.